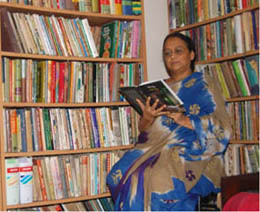 SELINA HOSSAIN is one of Bangladesh’s most prolific and vocal writers. In this short audio interview she outlines her social activist credentials. She visited Scotland during the 2007 Edinburgh Festival, and, with three other Indian writers, gave a series of readings that led to thought-provoking exchanges of ideas.